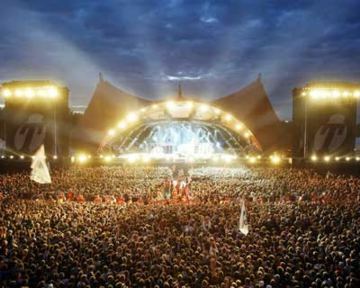 The next five days are going to be the countdown until Roskilde Festival for me - The musical highlight of every year! Since I'm going on sunday that means 5 posts - 1 every day and 1 song every day (maybe 2). The songs in these posts are not neccisarily the things I'm looking forward to seeing, more just appetizers for people going. This year of course is going to be special since it also falls smack into the middle of the world cup as well. That basically means entertainmet 24 7 during the whole festival. Someone probably not enjoying the world cup, or anything else in particular, is Morrissey. The old lordship of British rock is getting a shot at the big stage which is going to interesting. I my oppinion at least the Moz is more suited for a smaller darker stage where he can go on playing his homosexual innuendos, advocating animal rights, dodging rasicm claims and hate on the rest of the world. Don't get me wrong though, Saint Moz is probably going to do one of the best concerts this year, hopefully with poisonous attacks at some British MP who no one knows. Thus for Moz alone I would recommend people going to see him.